Like Allen & Heath's Xone series mixers, Xone headphones are the first choice for many of the world's top DJs. The XD2-53s have a circumaural design, providing excellent isolation from ambient noise, making them ideal for DJ's working in loud environments. The 53mm drivers deliver an extremely high performance, with an extended low frequency response. The rotating earpieces with soft earpads allow easy one-ear monitoring and the adjustable, metal reinforced headband ensures excellent wearing comfort. 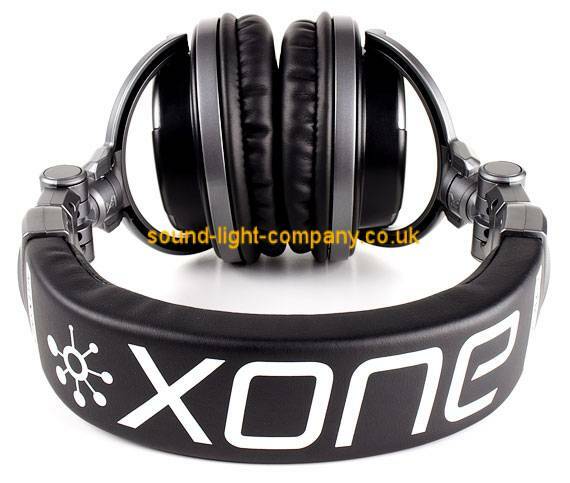 Xone XD2-53s come in a stylish new gunmetal finish and feature a detachable coiled cable.